It can be tough to find out that somebody you care about has been arrested. It can be even more tough to learn that they have been denied bail, as this is often an indication of some very bad circumstances. When a person is arrested they are generally allowed to be bailed out of jail within a few hours, or less, in some jurisdictions, so it can be alarming to learn that your loved won't be let given this opportunity. The following are the three most common reasons that a person will be denied bail. 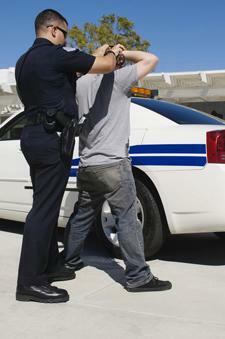 If a person has been arrested for a capital felony crime, such as murder, a judge can deny them bail. In many cases the law prevents them from being allowed baill. There has to be compelling evidence against the suspect as well for this denial to be issued. The reason a person who is arrested for murder or other major crimes is denied bail is because they will be viewed as a threat to society and it is the courts duty to protect citizens. Another reason a person may be be denied bail is if they are suspected to be a flight risk by a judge. A person may be thought to be a flight risk if they are facing massive fines or long jail time and would rather skip town than face the consequences of the crime they are suspected of committing. Another reason they may be denied bail is if the person tried to run from police when they were being arrested for the suspected crime in the first place. There is a good chance that a person will be denied bail if they are a repeat offender. A person's criminal background could result in a judge revoking the right to bail because they appeared to have not learned a lesson from their past mistakes. It can come as a shock if your loved one has been denied bail after they've been arrested. However, you're encouraged to call Rob Brown Bail Bonds the moment you learn of an arrest and we can issue a California bail bond as soon as they are qualified to be released. Our 24/7 bail bonds company is staffed by experts who are ready to help. Give us a call day or night at (707) 587-4563 to request a bail bond in Kelseyville or the surrounding communities.